I'm about to embark on a fun project as a gift for a friend. The gorgeous papers are from the Graphic 45 Mother Goose collection which I've been hoarding for ages, and a stack of greyboard which I got from Every Crafts A Pound - hopefully I will have something fabulous to show you next time! ... well, you can never have too many shoes, right?? I need to hide this now as the Mum-to-be in question is due to arrive here at any moment (she doesn't read my blog so that's ok). Always nice to hear you are on the mend! Looks like you are going to be doing something wonderful with the G45 papers! Those little boots look sooo cute! I'm glad you're getting over your surgery well....and the book you're going to make....can't wait!!!! Oh those little shoes are sooo cute! I might have a look at that myself as I have a 5 month old grandson who would look great in those! Re green tea... I think the secret is to put in very few leaves so that the tea is see-through. Or if you use tea bags, just dunk them for a very short while. Strong green tea is not very nice tasting. Super cute little shoes... I can see why you knitted two pairs. Wishing you a speedy recovery. I know you've heard this so many times but the little boots are so cute! Pleased to hear you're feeling a bit better and can't wait to see what you make with the Graphics 45 papers. I can understand why you've been hoarding them Lol! I'm pretty new to crocheting but my those baby boots are gorgeous! OMG Annie, those baby shoes are so adorable!!! Your friend will looooove them. Well I do!! Curious what you are going to do with the greyboard on your desk! 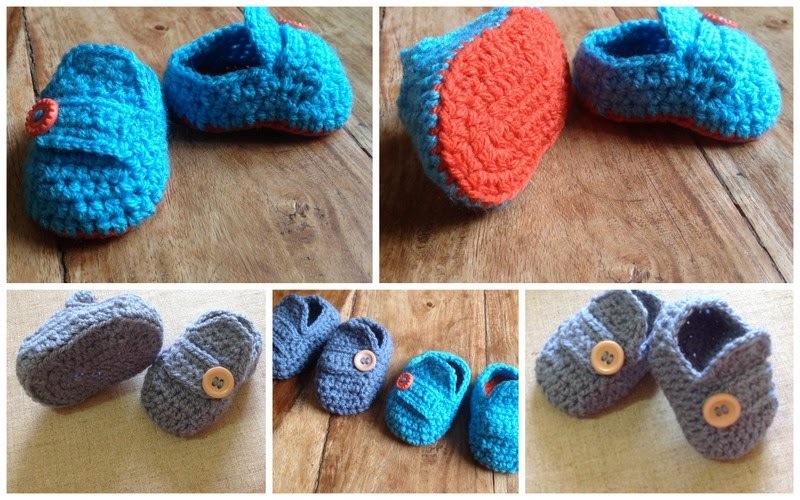 Oh those little shoes are so damn cute she is going to love them and they are made by you which makes it all that much better, thank heavens she doesn't read your blog and thanks for sharing. I'm glad to hear you've been recovering quickly from your surgery and back into your crafting. Those baby loafers are sweet, and you may be the seed of a future fashionisto… LOL! Have a blessed week. Hope you are feeling much better and getting back into the swing of things. I love these little shoes they are so darn cute. I need to get back into crochet... seen a few things I would like to try. Glad to see you back with us. The booties are adorable for sure.